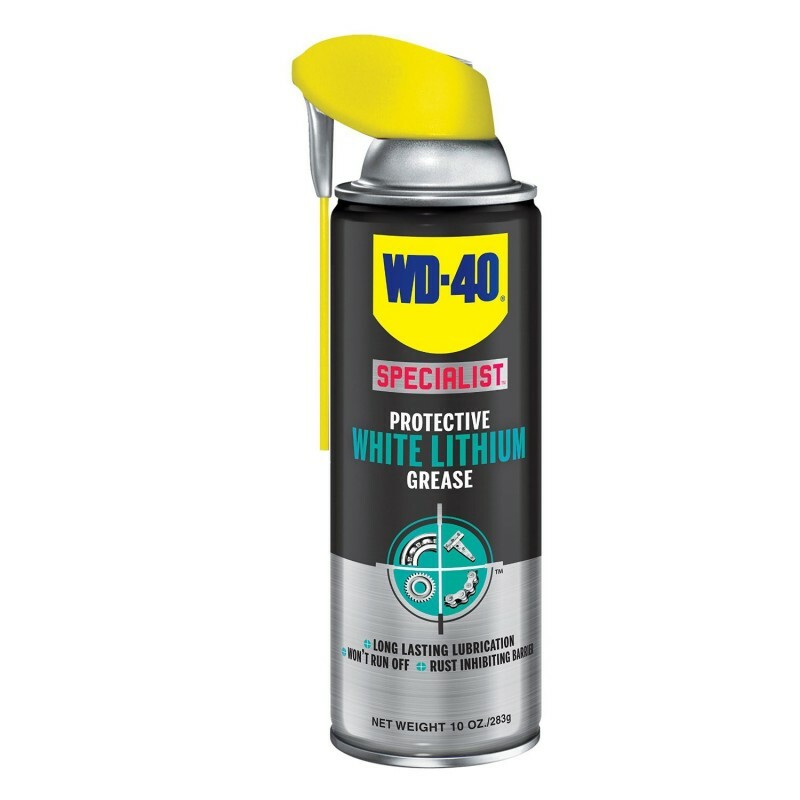 WD-40 Specialist Protective White Lithium Grease Spray is perfect for providing heavy lubrication and corrosion protection that will work no matter the weather. Great for auto hinges, outdoor hinges, sprockets, gears, pulleys, latches, cables, and guide rails. With a temperature range from 0 to 300 degrees Fahrenheit, this spray is excellent for lubricating equipment before storing it. Great for metal to metal applications.